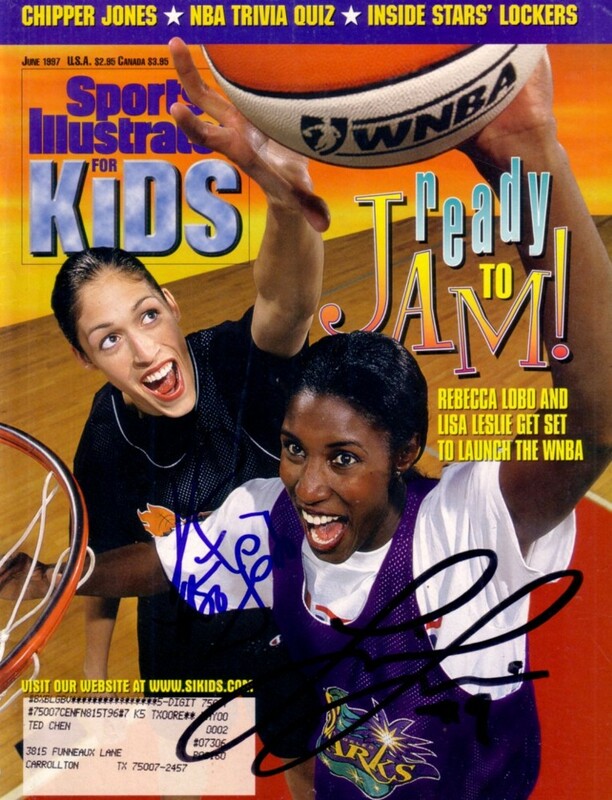 Complete June 1997 Sports Illustrated for Kids magazine autographed on the cover by former WNBA superstars Lisa Leslie and Rebecca Lobo. With certificate of authenticity from AutographsForSale.com. ONLY ONE AVAILABLE FOR SALE.